45-minutes of intense cycling combined with segments of upper body muscle-chiseling as you pedal...plus the added element of our performance screens! Experience intervals of resistance challenges as you continuously burn massive calories through constant cycling. Our class tech boards will keep you on track with your own individualized pace and will provide you with all of your cycling stats in a post-class email. This full body session will blast fat and reshape your physique all in one personalized, ultra-effective workout! 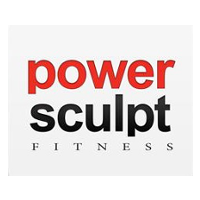 There are no upcoming “Cycle & Sculpt” classes on this day. Laura is motivational and encouraging! Very hard but very good. Most people are advanced in the class but its based on individual performance so its ok. Be prepared to sweat and be sore. Really loud music, could not hear the instructor. I havent done a cycling class in years....It was SO HARD! But such a great workout. I like that it emails your personal stats after the class. Your results are also displayed during the class to compare to the other people in the class for motivation. You also do group goals as well. If you want to sweat and be challenged, def would recommend. I've been doing a lot of spin classes at different studios, and this one was definitely one of the most challenging. This instructor is not motivating at all. She just screams at you in the class instead of being uplifting. The playlist was so bad it completely ruined the class. In my opinion, the music is 90% of the spin class and if I can't cycle to the music it just doesn't work. Whoever thought 90s/early 2000s house music is good to cycle to?! I was about to walk out and then Florida and Fetty Wap songs came on, too bad the beat was too slow to work with the pace of the class. Then back to the terrible music. I was really hopeful that this would be great since it's close home and the class times are convenient. The teacher was really energetic, but I wish she would have done a better job keeping count in class. Maybe I'll have to try another teacher here and hope they have better taste. Best cycling class I have ever done! Such a challenging work out!